Teddy Park is at the foot of the Old City walls, across the street from Jaffa Gate. In fact it is near many well-know attractions. It is located west of the Old City walls, near Mamilla Mall, Jaffa Gate and David’s Village and the neighborhood of Yemin Moshe. The park’s name honors the memory of Jerusalem’s legendary Mayor, Teddy Kollek. Believe me, he deserves it. Take your time to walk by the wishing well made of Jerusalem stone, sun dial, statues, the restored historic building and the aqueduct. 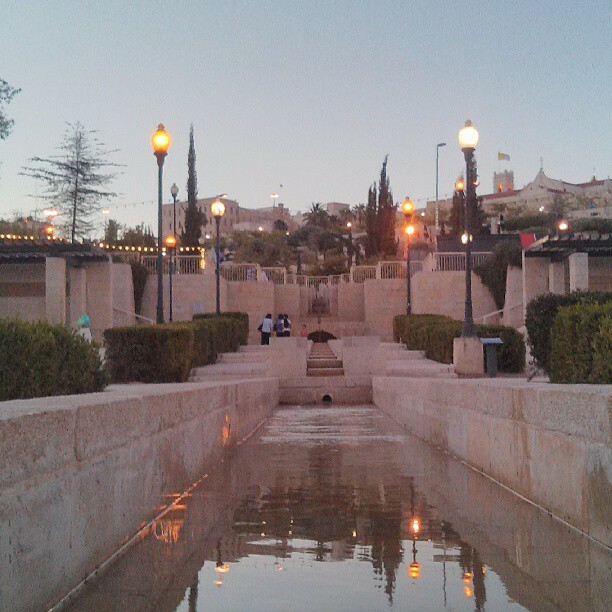 In the center of the park is Israel’s only sound and light fountain. Sound and light shows which take place four times daily with 256 nozzles, 1,800 light fixtures and a recording of original music performed by the New Jerusalem Philharmonic. The water allegedly spurts out up to SIX meters high. Some call it “Jerusalem’s Beach” and others hope it will be a “Fountain of Hope”. The park also has a Visitors’ Center which tells the story of the development of modern-day Jerusalem during Teddy Kollek’s time as mayor of Jerusalem (1965-1995). Corner stones describing milestones of the mayor’s life are erected along the pathways. 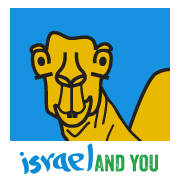 The following video has a few Hebrew subtitles, but give the best review of the park before, during and after construction; summer and winter conditions; Sound and Light Show; and Visitors’ Center. Open Hours: The park is open from 7:00 am to 11:00 pm daily, and the Visitors’ Center is open Sunday-Thursday from 2:00-9:00 pm. The park and the show are FREE. Accessibility: The park is accessible to people with disabilities, sight impairment and for strollers.